Commercial Equipment Service is Delaware’s locally owned provider of commercial and restaurant equipment installation, service and repairs. We work with refrigeration, cooking, HVACR and beverage equipment and much more, and with more than 30 years in business, we’ve earned our reputation for quality in every aspect of our work. 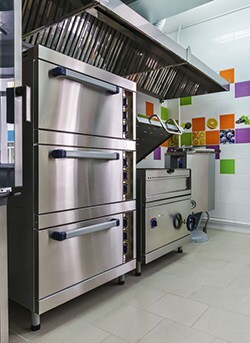 When you own or operate a restaurant or other commercial facility that relies on complex equipment for refrigeration, cooking and other key aspects of your business, you count on that equipment to operate reliably. When you have a problem with your equipment, you need a commercial refrigeration contractor in Delaware who can provide fast, effective and dependable repairs. This is where Commercial Equipment Service enters the picture. Since 1984, our team has provided repair services as well as restaurant equipment sales in Delaware, and we pride ourselves on the quality of our workmanship and customer service. For HVACR, cooking and refrigeration systems in Delaware, there’s no better name in the industry. We are a locally owned and operated commercial equipment service contractor in Wilmington, DE. We’ve been in business since 1984 and bring decades of experience and knowledge to every job. We are professionally affiliated with the Better Business Bureau. We offer 24/7 service to handle emergency equipment repairs. We offer free installation estimates and strive to keep our rates competitive.